No matter how far a ship is, we know her location! Combining undelayed Satellite and Terrestrial AIS data we deliver the most up-to-date ship positions either operating in near-shore areas or in the open oceans. Satellite AIS ensures global visibility of the world maritime traffic even beyond the coverage of land-based AIS receiving stations. 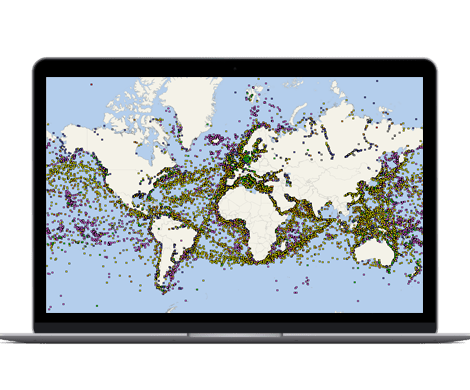 While terrestrial AIS data is a great source of information for real-time monitoring of the ship traffic in major waterways and ports within near-shore areas, the Satellite AIS technology is the only source of up-to-date position data beyond the coverage of terrestrial AIS stations. With update intervals from a few minutes to several hours, Satellite AIS data solves the long-standing problem of lack of timely position data of your fleet.